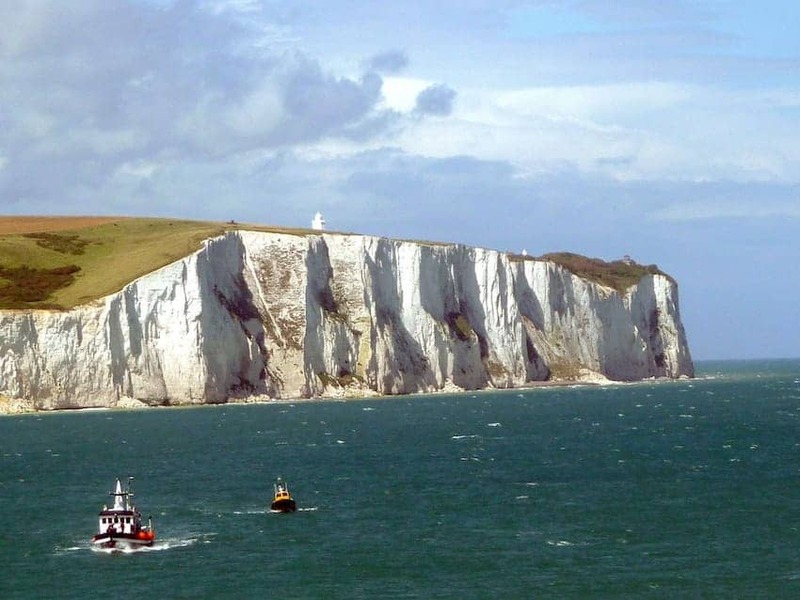 The White Cliffs of Dover, composed of chalk and black flint, are one of Britain's most spectacular natural features. Facing France, on the narrowest part of the English Channel, the cliffs are visible on a clear day. Part of the North Downs, the cliff face reaches up to 350 feet (110 m) and spread east and west from the port of Dover. They are an official icon of Britain and have been a symbol of hope and freedom for centuries. The white line of cliffs used to form the first or last sight of England for travellers as well as being a symbolic guard.